DYS had just released there first RTR 83mm tiny drone, and like most popular drone these days, its designed to be more user friendly. The Elf apparently has a FPV Camera on top that you can use for FPV, generally just plug into your Fatshark and you're good to go. An amazing motor. I hope they make more and Id buy a hundred. Very good shipping and products. This is a really high performance motor for a sub 180mm quad-copter. 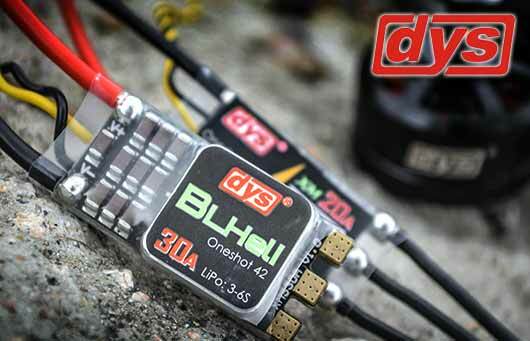 The high KV can turn 4" props really fast and give excellent speed and power. 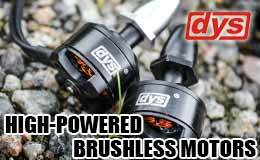 I highly recommend these motors! This is the perfect motor setup for a sub-180 sized quadcopter. They spin fast enough so you can keep up with the big boys on the track yet are light enough to be more nimble than them. It's a win-win. These are high quality motors and turn ridiculous speeds on 3s and 4s if you are brave enough. What I like most about these motors is that they have a built-in 5mm prop shaft, no adapter! This keeps the weight low for maximum performance. 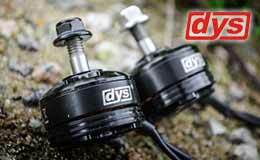 Sub 150mm quad are the rage and you will need quality components, the DYS 1306 3100kv wont let you down. Referral from Wiggles FPV, Youtube. Prior, was not aware of Asiatees. Trust in him was one reason why I orderd, along with UR base in HK, & solid Youtube channel. Have traveled to HK number of times for business/friends so can always followup locally + have family/friends Shenzhen & GZ. The order was held up, but chat with rep nailed the issue, open & honest, problem immediately solved. 1st experience, 4. Will purchase again. Noted Joshua Bradwell highlights AT. Very well respected, a favorite. Great little motor with lots of punch on a sub 150" frame and 3S.